(BPP) -- Democratic presidential candidate Hillary Clinton on Sunday named Brian Phillips, a Boston Wedding Photographer, as her running mate in the 2008 election -- an announcement that comes as Clinton's superdelegate lead over Sen. Barack Obama was narrowed to within one on Saturday, according to CNN's latest delegate estimate. 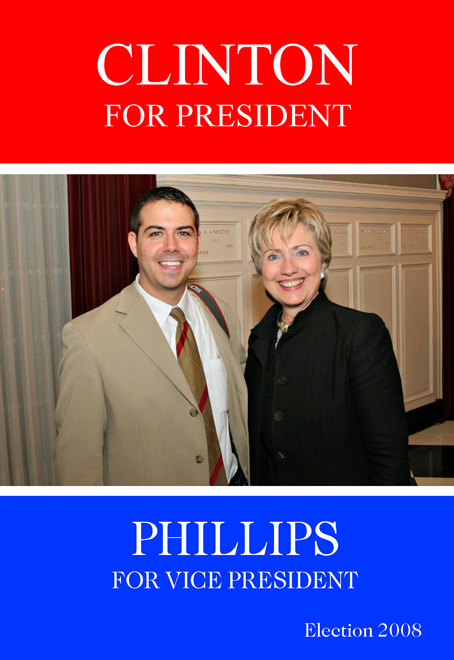 Phillips, a New York native, was Hillary's first choice as his strengths behind the lens caught her eye during a photoshoot at the Harvard Club of Boston last year. Hillary actually met Brian back in 1996 in Chautauqua, NY, while her husband and former President Bill Clinton practiced for his upcoming debates against Bob Dole. Brian was working for Reuters News Pictures at the time, covering the three day stay in Upstate NY.